Hello steemit, today we have a round that I think is weird. On the front it looks like it has a lion on it. 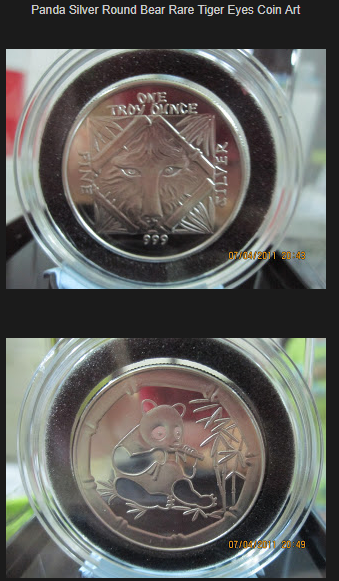 Also 1 Troy ounce fine silver 999. I do not know who makes this round or what year it is. On the reverse side and has a panda so This don’t make sense to me. What does the two have in common ? It’s got some nice toning starting but besides that I know anything about it. What’s your two cent about it? Should I melt it or keep it? That’s the one. Thanks for the info and taking the time to look it up. No problem. I like looking up stuff like that. Learn a good deal about coins that way. 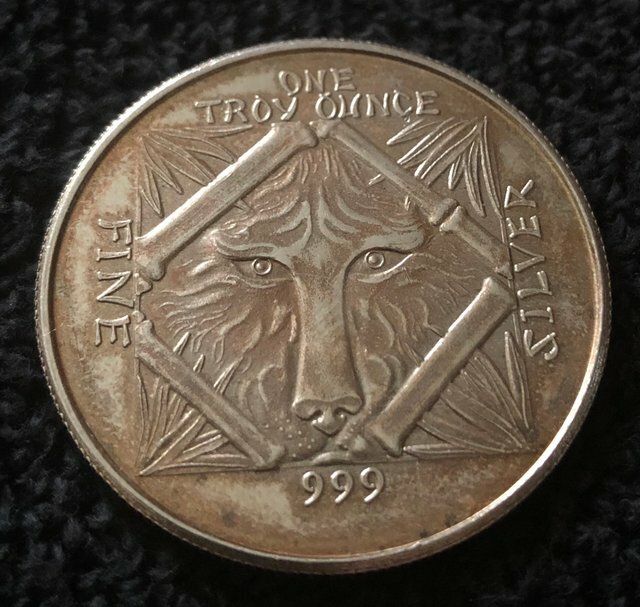 That is one weird silver round. It almost looks like someone used their child's grade school artwork as the design. That panda looks very odd to me. Exactly for being so strange, it doesn't deserve the melting pot.Could it be a wolf instead of a lion? 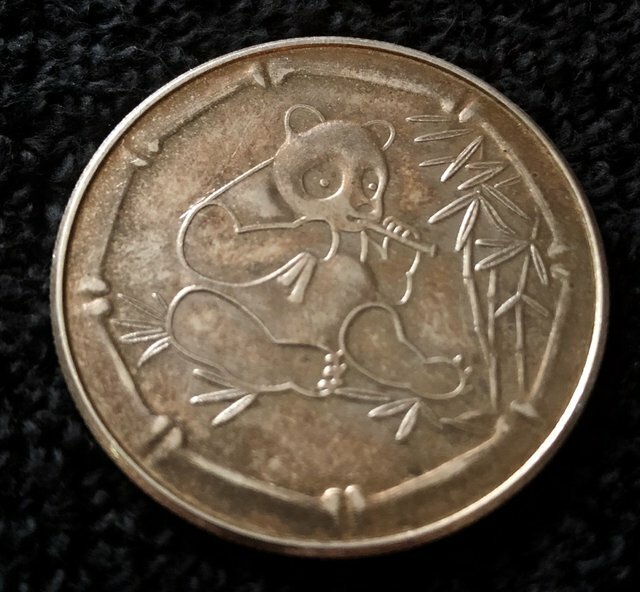 The obverse will depict a Panda eating bamboo in a garden or two Pandas playing in a garden. The reverse features a stylized cat looking through bamboo. Weird, but uniquely nice! My first time to see such. What is weirder to me is the inconsistency of the design elements on the front and back of the round. You just got splashed by @rewards-pool. For more information on delegating to the @rewards-pool click the following link. @rewards-pool where a small delegation can get you a big splash.